Even when you have the best mobile workforce management app in place and a top-notch employee scheduling app, dealing with tardy employees is always going to be part of running a business. Some of your best workers will have trouble getting to work on time, whether it’s because they’re poor planners or aren’t “morning people.” No matter what the excuse, tardiness is not something that you can allow to become a persistent issue. Late arrivals can lead to a drop in productivity and can take a toll on staff morale, since workers who are on time tend to resent those who aren’t. If you’re having problems with late employees, here are a number of steps you should take to reduce the problem. 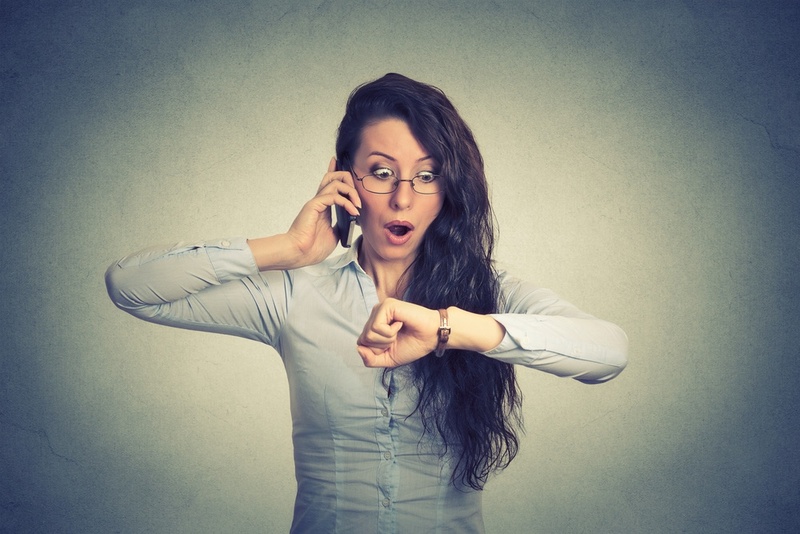 Do you have a tardiness policy in place? Many small business owners never bother to formulate one, since they figure it’s a given. Their employees will show up on time—or else. The problem is, or else what? That’s a question that many employers have a hard time answering. And that’s when certain employees will take advantage of the vague rules and determine that rolling into the job site 10 or 15 minutes late is no big deal. Having a policy is the key first step, but just as important is communicating it to your mobile workforce. A written communication to your workers by email, text or through a team communication app will ensure that all of your employees see the policy and have it for future reference. Also, if you have a multilingual workforce, it’s critical that you communicate with employees in their own language about important rules to guarantee there are no misunderstandings. With the Project+ workforce app, you can send messages and share checklists with employees that are automatically translated into English, Spanish, German or French. The policy should clearly state the expected time workers will arrive at the location as well as the consequences for tardiness. There’s no single set of rules on tardiness that is correct. But what is indisputable is that whatever rules you set, you must be prepared to enforce them. For starters, if you say that workers need to be at the site by 8 a.m., that means that those arriving at 8:05 and 8:10 should be considered late and be held accountable for it. Many employers are reluctant to invoke the rules except for the most egregious violations (somebody coming an hour late), but if you take that approach, you’ll end up with workers who consistently arrive a few minutes late. Those lost minutes add up and cost the business. When it comes to enforcing consequences, whether that be a warning, a suspension or even termination, you need to prepare for the excuses and decide how you will respond. While there will undoubtedly be legitimate excuses, from a car breaking down to a medical emergency, employees may also come up with excuses to evade consequences. The key is to put in place a fair policy that recognizes that employees will occasionally be tardy for legitimate reasons but that multiple late arrivals are unacceptable. Rules are tough to enforce if there’s no supervision. If you’re in a large workplace or if your employees are working remotely at different job sites, you and others in management may not always know who’s showing up on time or not. With conventional technology, such as on-site punch clocks, employees can escape accountability by having buddies punch them in and out. Luckily, there are innovative solutions that accommodate the increasingly mobile workforces of the 21st century. Time clock apps allow workers to punch in and out on their smartphones from wherever they’re supposed to be working. This solution is far more efficient than putting in place manual punch clocks at multiple sites or requiring workers to punch in at a central location. For enhanced accountability, some clock in clock out apps have GPS capabilities that can tell whether the employee is where they say they are. For instance, Timesheet Mobile’s GPS time clock allows you to set up geofences around all of the work sites in a matter of minutes. The geofences detect when an employee enters or leaves the premises, ensuring that the hours reported matches reality. Effective mobile workforce management is not just about sticks. Carrots are also key. Demonstrate to your employees that you appreciate and will reward their hard work, including getting to work on time. Design a system of rewards or bonuses for certain punctuality milestones, such as being on time 30 days in a row. There’s a wide range of incentives you can offer employees to get them to work on time. Although your employees are expected to show up on time, verbal praise and company-wide recognition can go a long way to keep people motivated, and send a positive message to everyone about consistent punctuality. While specific employee gift cards and other presents can help, you can also offer incentives for teams, as they will rely on each other for the reward. For example, if your team shows up to work on time for the whole month, perhaps you could offer a team lunch or social outing, which can also promote a culture of teamwork. Above all else, the best way to keep your employees coming to work on time is to understand their own challenges and motivations. When workers are unhappy with their jobs, they try to cut down on the time they spend at work as much as possible. It takes them longer to get out of bed in the morning and they seize on any excuse available (bad weather, accident etc) to miss work. They come in late, they leave early and they take as many breaks as they can. In contrast, when employees like what they do and enjoy the company of their coworkers and employer, they are motivated to follow the rules and put in a full day’s work. A direct and open conversation to find out why they are unmotivated could lead to you finding out about other issues in the workplace that you can help improve. This could be anything from giving him or her a new supervisor or providing further learning & development opportunities. The discussion may also unearth insights into the worker’s working habits. If some people do struggle to get out of bed in the morning, for example, is there a later shift or more flexible arrangements available for them? Before cracking down on tardy employees, knowing how this issue can be amicably resolved is critical before it impacts morale and productivity.